Dave began his law career working as an associate attorney for the Moyer & Bergman law firm in Cedar Rapids, Iowa in 1978. 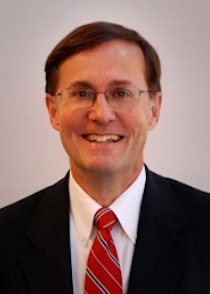 Dave became a partner at Moyer & Bergman in 1983. Dave returned to his hometown of Dubuque, Iowa in 1986 to join the law firm that is now known as Gilloon, Wright & Hamel, P.C. Dave served as an adjunct professor at Mount Mercy College in Cedar Rapids, Iowa from 1979 to 1984, and as an adjunct professor at Loras College in Dubuque, Iowa from 1987 to 1992 teaching insurance and business law. Dave served on the Board of Directors of the Dubuque Rescue Mission from 2006 to 2012 and was President of the Board for two years. Dave and his wife, Renee, have been married since 1988. Renee was an engineer for Deere & Company for many years. Dave and Renee have four children.